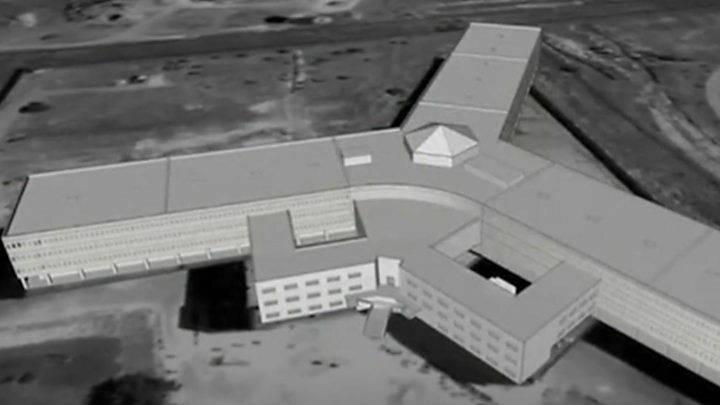 A new report by the human rights group alleges that mass hangings took place every week at Saydnaya prison between September 2011 and December 2015. However, UN human rights experts said a year ago that witness accounts and documentary evidence strongly suggested that tens of thousands of people were being detained and that "deaths on a massive scale" were occurring in custody. Amnesty interviewed 84 people, including former guards, detainees and officials at Saydnaya prison for its report. 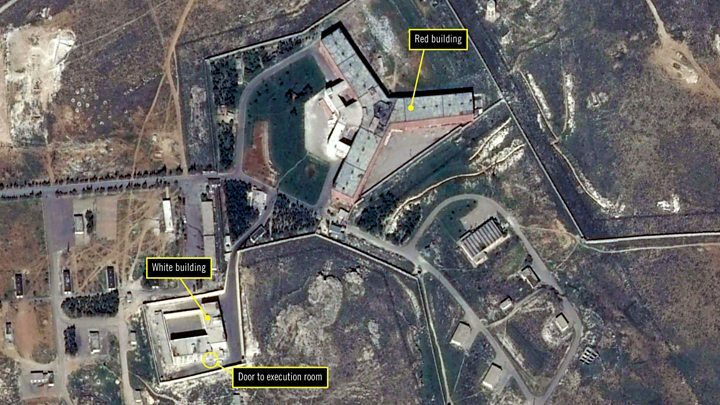 Before their execution, detainees were brought before a "military field court" in the capital's Qaboun district for "trials" lasting between one and three minutes, the report says. A former military court judge quoted by Amnesty said detainees would be asked if they had committed crimes alleged to have taken place. "Whether the answer is 'yes' or 'no', he will be convicted... This court has no relation with the rule of law," he said. "They kept them [hanging] there for 10 to 15 minutes. Some didn't die because they are light. For the young ones, their weight wouldn't kill them. The officers' assistants would pull them down and break their necks." "If you put your ears on the floor, you could hear the sound of a kind of gurgling. This would last around 10 minutes… We were sleeping on top of the sound of people choking to death. This was normal for me then." "The beating was so intense. It was as if you had a nail, and you were trying again and again to beat it into a rock. It was impossible, but they just kept going. I was wishing they would just cut off my legs instead of beating them any more." It also notes that death sentences have to be approved by the grand mufti and by either the defence minister or the army's chief of staff, who are deputised to act on behalf of President Bashar al-Assad. Last August, Amnesty reported that an estimated 17,723 people had died in custody as a result of torture and the deprivation of food, water and medical care between March 2011 - when the uprising against President Assad began - and December 2015. That figure did not include those allegedly hanged at Saydnaya.